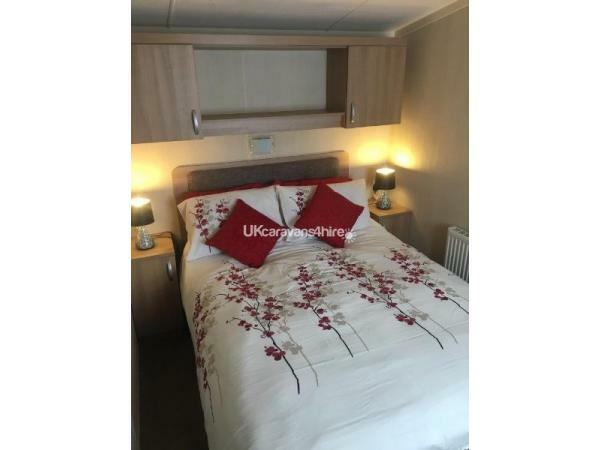 Lovely swift Bordeaux exclusive, 3 bedrooms 6 berth caravan situated on Havens Cala Gran Holiday Park. 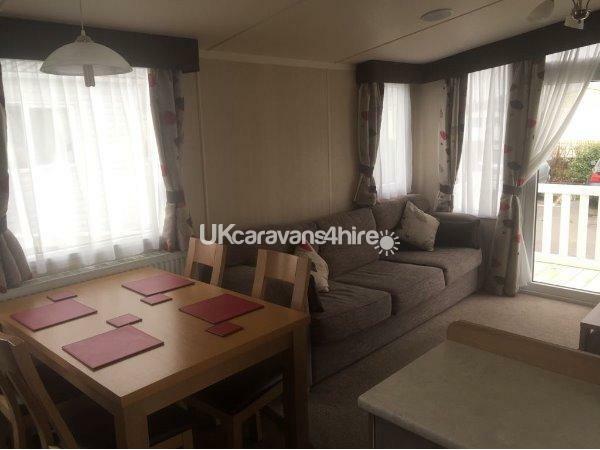 There's lots of space around the caravan which is ideal for children to play and has no through traffic due to being located in a cul-de-sac. 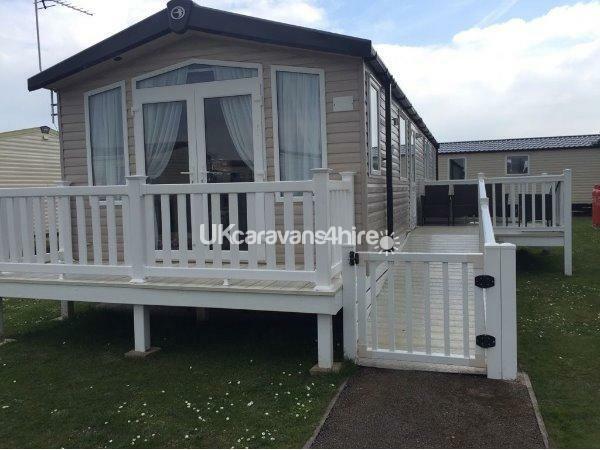 There is a ramp leading up to the side decking area with the main door, seating and a table, as well as front patio doors opening to a veranda. BED LINEN INCLUDED AND ALL BEDS WILL BE MADE UP ON ARRIVAL. 42" HD TV with BLU RAY player, a selection of children's dvds and board games will be left in the storage area underneath the TV to keep the kids entertained. Free standing 4 seater sofa and a 2 seater sofa, a coffee table with 2 x footstools and an electric fire place. The patio doors lead out onto a veranda. The kitchen is equipped with everything needed to enjoy your stay, gas, oven and hob, microwave, kettle and toaster, integrated fridge freezer, all utensils, crockery, cookware and glassware. Cleaning products are supplied, a shark vacuum cleaner, mop and bucket. 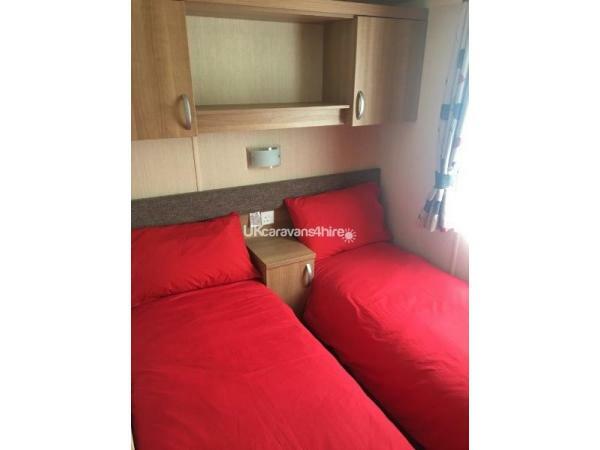 Double bed with bedside tables and lamps, dressing table and a large wardrobe. The master bedroom has an ensuite bathroom with a toilet and hand basin. There is also a 24" TV with a built in DVD player. This consists of a large shower, toilet and hand washing basin with a mirrored cabinet and shaving point. Private car parking space for 1 car. Ramp leading up to patio area and entrance door. 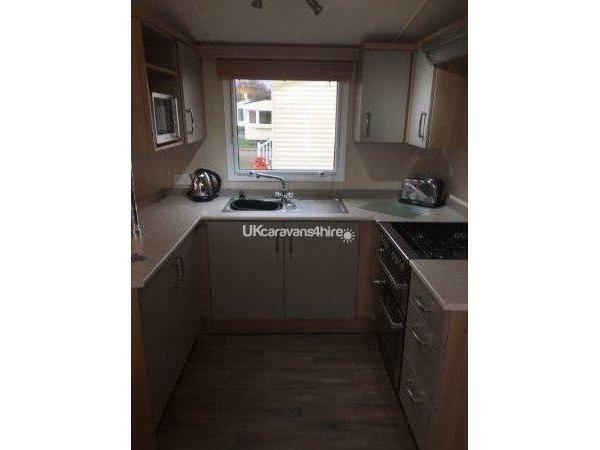 Lawn to 3 sides of caravan. Veranda at the front of caravan. Check in from 3pm. Please ask if you require an early check in and we will arrange if available. Additional Info: PASSES NOT INCLUDED IN THE PRICE. 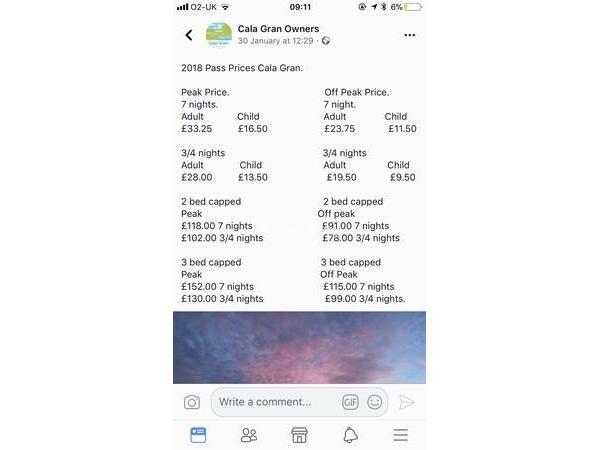 Some facilities may require park passes which will have to be purchased from the haven holiday park reception. No reviews found. 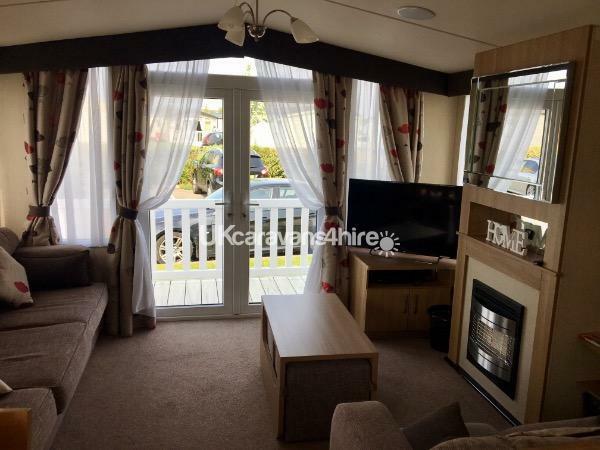 If you have recently stayed in this holiday home please leave a review, it only takes a few moments and will really help future guests when they are searching for holiday accommodation at Haven Cala Gran Holiday Park.